Welcome to The Future of Hunting. I hope you feel inspired to take a child out hunting by the time you leave! 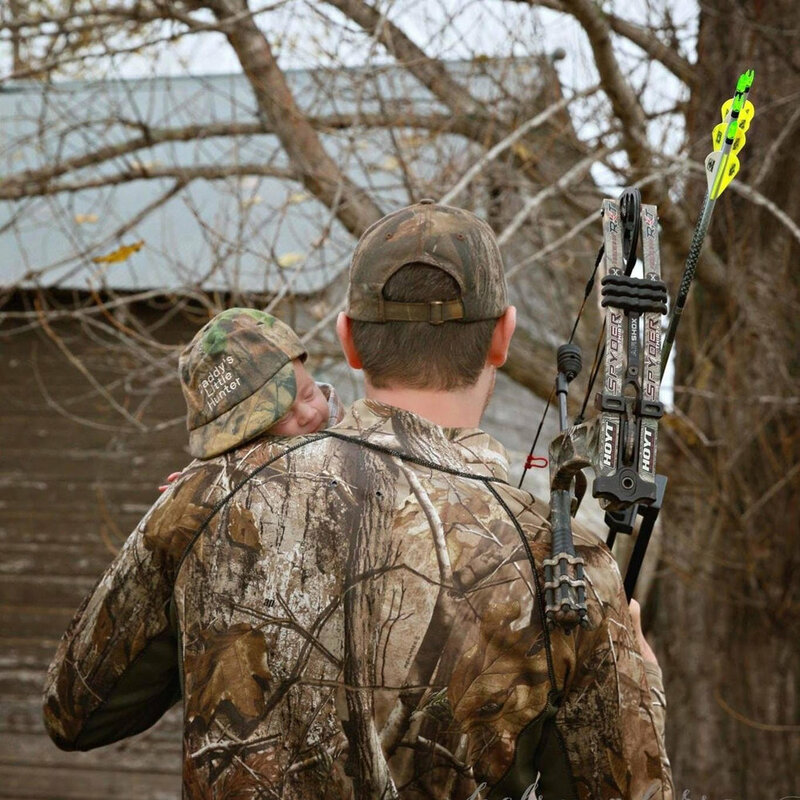 The Future of Hunting Have you taken a child hunting? 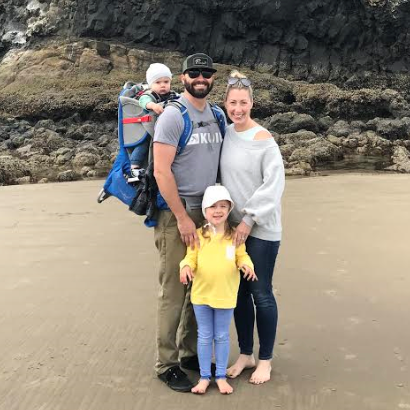 Bobby and Addie Corey are from Pendleton, Oregon where they spend every spare moment enjoying the outdoors with their 2 year old son Hales. If you cant find the Corey’s at the Hunt Oregon Lodge or out guiding clients, you will find them picking up shed antlers in the spring, scouting deer and elk in the summer, or even doing a little hunting of their own all with Hales right by their side. Jimmy Glaeser is just your average guy from Wisconsin who loves spending time outside with his son Cameron. He is a night shift worker who turns around and watches his son during the days. They love shooting their bows and going out scouting together. Cameron loves to explore all the great things that the great outdoors have to offer. Meet the King Family. Kenji grew up on the Clackamas River in Oregon where he easily gained a passion for fishing. It was this that led him to guiding in Alaska where he met his lively wife. Jenn grew up on an island in Alaska where hunting and fishing was not only fun, but necessary to provide meat for the family over the long winters. They are now passing on the tradition of harvesting food for their own family, raising two very active boys, Adam (5) and Connor (8), in Oregon where they can take advantage of the incredible variety of hunting and fishing opportunities. Chelcie is a free spirited, adventure loving momma, to a little man cub named Jax. She was raised to be her daddy’s little tomboy and is passionate about passing on her experiences and hobby’s to her son. She believes life lessons and character building happens when you have to work for what you reap. Chelcie grew up hunting with her dad but it wasn’t until she starting shooting outdoor 3D leagues that her passion for archery exploded. If you get to know Chelcie, you will often hear her say, "as long as I have my son by my side and my bow in my hand, I’ll be just fine." Chelcie loves helping at her local archery range where she works hard to pass on the traditions of hunting and conservation to Jax and other children. These two love to spend all of their free time exploring their home state of Utah and are always on the road finding new areas and country to see and explore. Tommy is a driven outdoorsman who loves to share his passion with his friends and family but most importantly his best friend and daughter Millie Kate. He grew up in a hunting and fishing family walking many steps as a little boy following along with his dad and grandpa quail hunting and fishing in the south. It was about the age of 12 where Tommy got the itch for deer hunting and boy did he ever. From that early age and till this day Tommy can’t let a day pass by without thinking about how to outsmart one of those big mature bucks. He now calls the big buck state of Iowa home. Tommy always finds time during the spring to chase gobblers as well and enjoys taking new hunters. He says he thinks it’s the best way to introduce new hunters old and young to our great sport of hunting. Tommy has been fortunate to take several nice bucks and turkeys but his real enjoyment is watching his daughter Millie Kate grow up in the outdoors and sharing his passion for hunting with her. Tommy says MK is his best friend, best hunting buddy, and enjoys nothing more than watching her follow in his footsteps of enjoying all of God’s great creations we are so blessed with like hunting. Millie Kate is a spunky little 10 year old outdoors lover with a passion for hunting rivaled by no other. Getting her first turkey at the age of 4 she hasn’t slowed down since. MK loves sharing her success with friends and family and will be the biggest cheerleader in camp for everyone else being successful with their hunts. She is like a sponge when it comes to anyone sharing their tips or advice in the hunting world. Soaking up every detail to everyone’s hunting experiences they may share and loves sharing her experiences with everyone. Born and raised in the great Pacific Northwest, Brandon has had a passion for the outdoors since he was introduced to hunting by his best friend during his time at Washington State University. That initial mule deer hunt on the Snake River Breaks was all it took to instill a deep rooted respect for the outdoors and all it has to offer. He thrives on public land hunts, especially chasing elk with his bow in the throes of the September rut throughout the Northwestern States. He is the proud father of a four year old girl and a one year old son who he and his wife try to expose to all things outdoors as much as possible. His goal is to get them to appreciate all the activities the PNW has to offer ranging from digging razor clams on the Washington Coast to picking ripe huckleberries in the Cascade Range to eventually hunting for the plethora of species his home state has to offer. He and his family reside in SW Washington. We are donating 10% of all apparel sales to groups supporting kids in the outdoors. Check out our Statement Tee's for kids and adults! This month's featured non-profit is Raise 'Em Outdoors. Click here to learn more!